By Matthew Flinders. This was originally published on the Oxford University Press blog. Politics is a worldly art. It is a profession that is founded on the ability to instill hope, convince doubters and unite the disunited – to find simple and pain free solutions to what are in fact complex and painful social challenges. In recent months a small seam of scholarship has emerged that explores public attitudes to politics and politicians through the lens of Daniel Kahneman’s work on behavioral economics and psychology. ‘Think fast’ and the public’s responses are generally aggressive, negative and hopeless; ‘think slow’ and the public’s responses are far more positive, understanding and hopeful. Such findings resonate with my own personal experience and particularly when I founded a “Be Kind to Politicians Party” as part of a project for the BBC and it was amazing how many people I was able to recruit in a fairly short time. Admitting to the pressures and dilemmas of political life is rarely something that a politician dares acknowledge while in office but political memoirs and autobiographies frequently admit to the anguish created by a role that is almost designed to ensure a decline in mental well-being. Job insecurity, living away from home, media intrusion, public animosity, low levels of control, high expectations, limited resources, inherently aggressive, high-blame, low-trust, etc….Why would anyone enter politics? 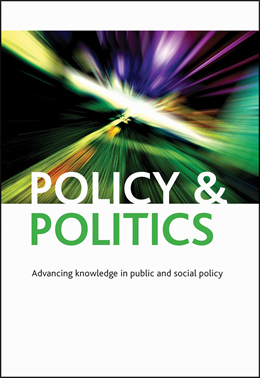 Exploring the pressures placed on individuals as politicians – we often forget that politicians are individuals – is a topic that a small seam of scholarship has explored with Peter Riddell’s In Defense of Politicians (in spite of themselves) (2011) providing a good entry point to a more scholarly and complex field of writing where Gerry Stoker’s Why Politics Matters (2006) and David Runciman’s Political Hypocrisy (2010) form critical reference points. Despite its title, the deeper insights of his book are less about success or failure, fire or ashes, but about the manner in which the demands of democratic politics appear to almost oblige individuals to adopt a certain way of being that grate against the ideals and principles that led them to enter politics in the first place. Put slightly differently, the political hypocrisy that is so often detected by the public, ridiculed by the media and even attacked by opposition politicians who are spared the dilemmas of power are arguably systemic in nature rather than representing the failing of specific individuals. The reality of modern attack politics, of 24/7 media news, of the internet, of all those elements that come together to form ‘the system’ is that an individual’s freedom to actually speak openly and honestly is suffocated. The energy and life – possibly even the hubris – that propelled an individual to enter politics can be very rapidly destroyed by a systemic negativity and cynicism that means that spontaneity must be surrendered to a world of soundbites and media management. But to end at this point – to blame elements of “the system” – in the hope of explaining the rise of anti-politics would be wrong. There remains a deeper tension at the heart of democratic politics that takes us right back to Bernard Crick’s classic Defense and a focus on the essence of compromise. Democratic politics is – when all is said and done – an institutional structure for achieving social compromise between contesting demands. And here lies both the rub and the real insight of Ignatieff’s experience: the worldly art of politics requires that politicians submit to compromises in a world in which compromise is too often associated with weakness and failure. Moreover, specific sections of society must be made to feel that they are special and that their demands are not being diluted when in fact they are due to the harsh realities of political life. To a certain extent, the hypocrisy, half-truths and fake smiles become essential due to the simple fact that no politician can please everybody all of the time. Democratic politics is a crucible for compromise. The “hollowing-out of the state” is a topic that has received a huge amount of academic attention, as is the “hollowing-out of democracy” but could it be that the “hollowing-out of politicians” demands at least a little consideration within debates about “why we hate politics”? Igantieff is, however, nothing if not resolutely positive about the beauty of democratic politics and the capacity of politicians. His aim – like a lot of my writing – is not to put people off stepping into the arena but to help people enter the fray better prepared than he was. Better prepared in the sense of understanding the need to “play the game” in the sense of being worldly and sinful, while also remaining faithful and fearless at the same time.